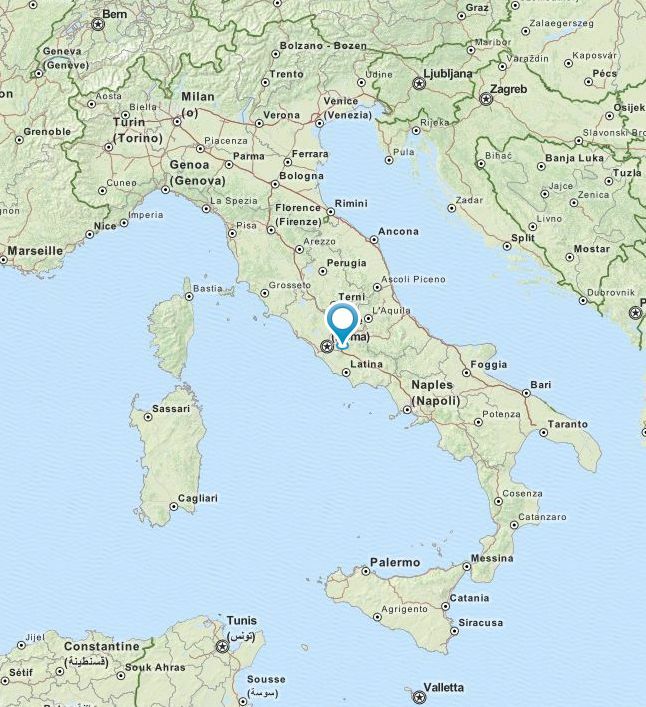 Place: Palazzo Rospigliosi, Zagarolo, Italy. Registration is open from March 1 to April 30, 2015. Fee is 5 EUR per person. 10:00 to 17:00 Everyone works. 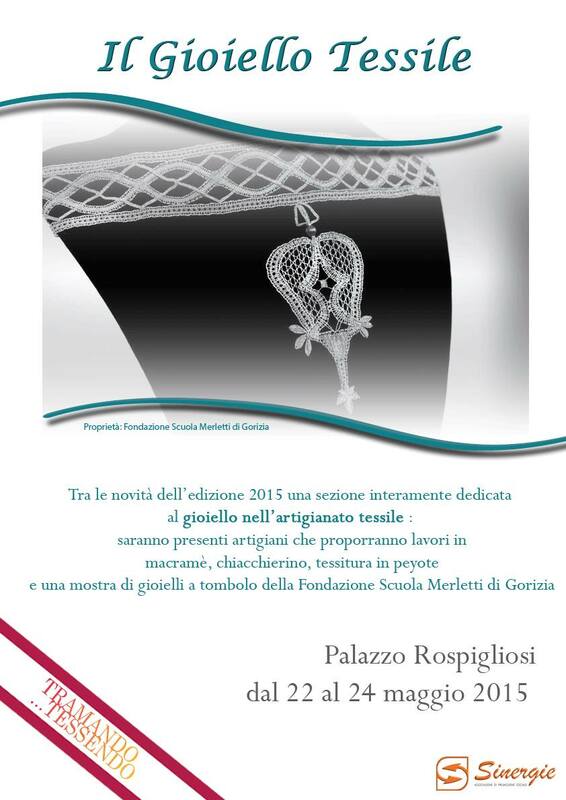 The Lace Day is embedded in the “IX Mostra Mercato di Artigianato Tessile”, which runs from May 22-24. 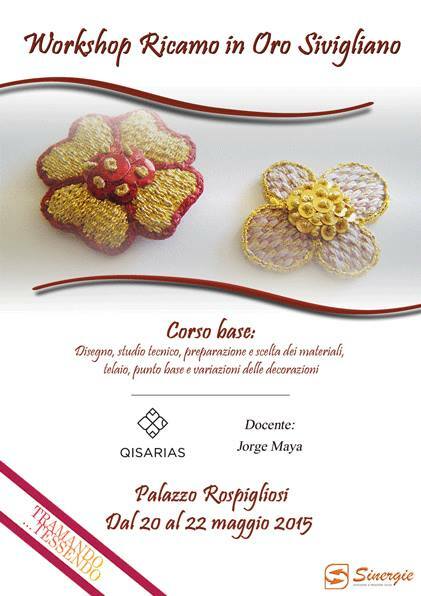 This is a textile crafts fair which offers several classes, see posters below. 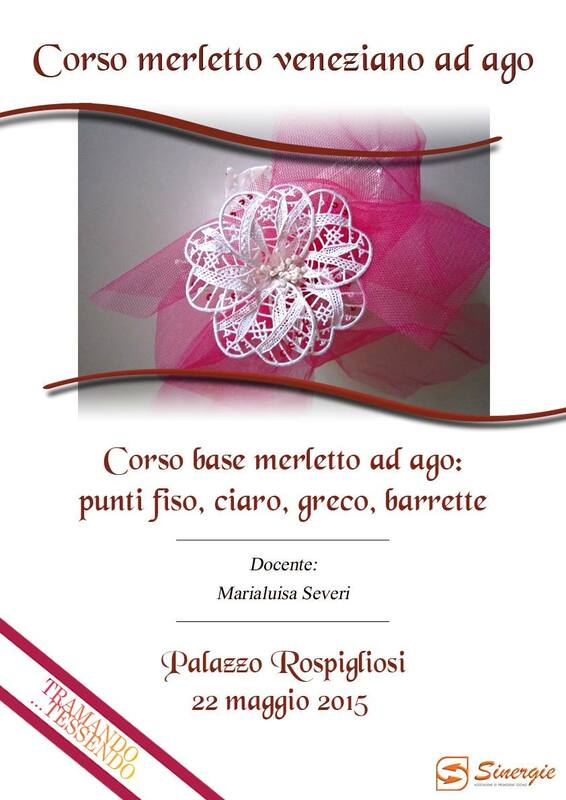 An exhibition on Italian Needlelace, “Percorsi Tessili” will be presented, including Valsesia Puncetto, Burano, Aemila Ars, and several others, and contemporary work. 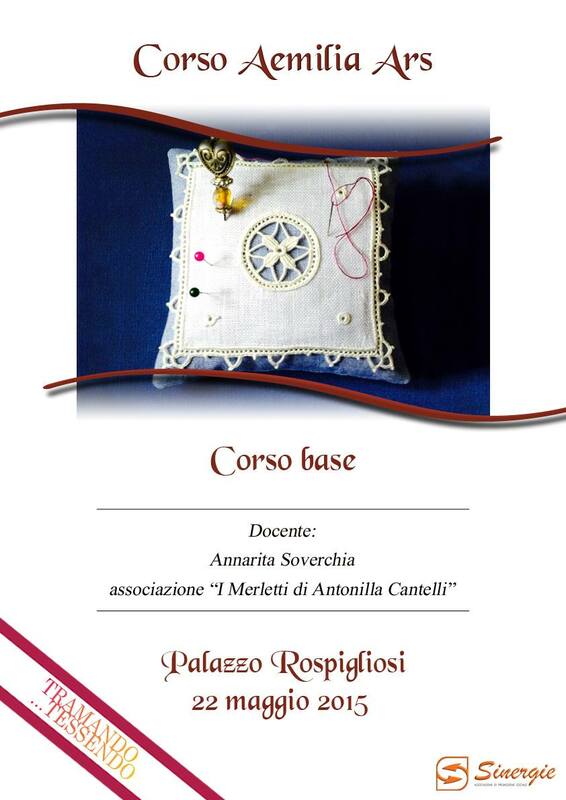 There will also be an exhibition “Il Gioiello Tessile” (Textile Jewelery) featuring macramè, tatting, peyote work, and bobbinlace by the Fondazione Scuola Merletti di Gorizia. 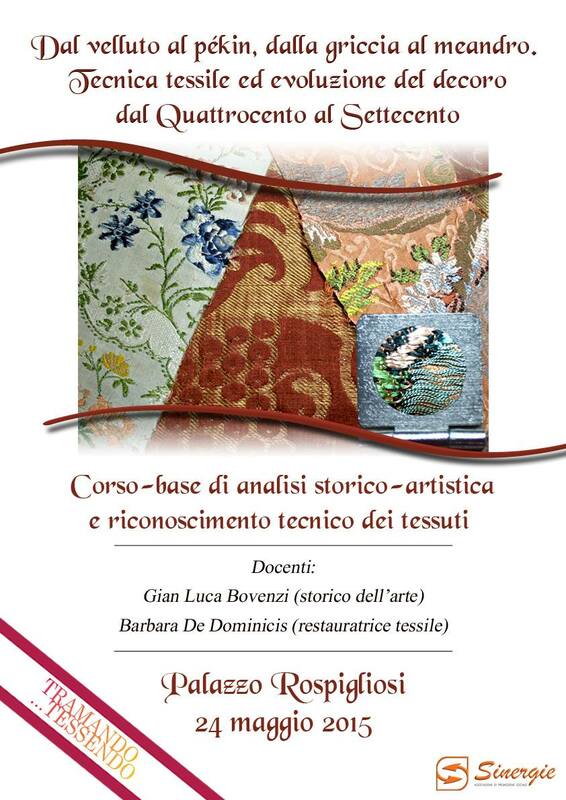 This will also be at the Palazzo Rospigliosi from May 22-24, 2015.